These small animals are known all over the world. Actually, Australia and Antarctica are the only continents where squirrels cannot be found. They can be of different colour like black, grey, brown, red, or a mixture of several colors. Their size can also vary. In fact there are more than 200 species of squirrels. They are playful and cute but can easily be frustrated, start flicking their tails and become quite vocal when annoyed. And squirrels have a reason for that. They are chased by cats, dogs, foxes, raccoons, falcons, though people are true enemies of the squirrels. Squirrels perish under wheels, shot in backyards or poisoned. People are really inventive. Their ongoing fight against squirrels went into a new phase when citizens start applying pesticides and fertilizers on their land plots including front yards, backyards, sport grounds and parks. 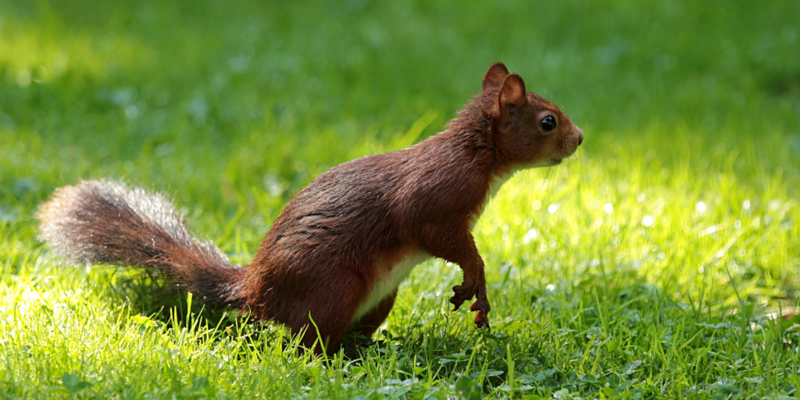 Squirrels can be seriously impacted by pesticides even though they are not the target. According to Cori Dolan and Bill Mannan from the University of Arizona, “these chemicals not only can kill wild animals, but can also disrupt hormones in animals, affecting behavior and the ability to reproduce”. Last year a number of cases of abnormal behavior of squirrels, such as falling over and walking in circles were noticed in Nepean soon after pesticide application on private lawns. These character behavior might be associated with rabies, though the Ottawa Humane Society didn’t confirm cases of rabies among squirrels last year. Nevertheless squirrels adapted to harsh surroundings pretty well. They make our urban environment their home and they make cities more habitable and human. Though, according to Environment Canada, in 2013, 19% of Canadian households with a lawn or garden used chemical pesticides compared to 31% in 1994, some herbicides are still in high demand, including glyphosate, the chemical name for the active ingredient in Roundup. Nearly one third of samples tested by the Canadian Food Inspection Agency contain detectable residues of glyphosate. In 2015 the International Agency for Research on Cancer (IARC) classified glyphosate as a probable human carcinogen. Many researchers consider glyphosate to be an endocrine disrupting chemical. According to Pesticide Action Network report on Glyphosate of 2016, “Exposure to glyphosate-based herbicides, even at very low doses, may result in reproductive problems including miscarriages, pre-term deliveries, low birth weights, and birth defects”.